CHANEL, CHANEL, CHANEL………………..sigh, how I love you and your intertwined C’s! You know that moment, the one where you try a product for the first time and cannot believe it’s real? Your heart skips a beat because you found a new holy grail and your life has been changed forever. Now if anyone who doesn’t adore make up is reading this you’re probably wondering what the hell is wrong me. If like me however you adore make up then I bet you will have dreamt up the perfect version of every kind of product imaginable. Today my lovelies I found one of mine in the form of CHANEL Inimitable! Oh yeah, that’s right, my mascara dreams came true and I’m so happy. You see my lashes are the biggest pain ever! Sure they are long and thickish, but they are so damn straight! To the point of obscuring my view at times. I loath them because no matter what I do to curl them they flop straight back down. Until yesterday that is! So here I am fed up from being ill and I think to myself “I’m going to try my new mascara to cheer myself up”. Please tell me you all do things like that too? Out come the She Uemura’s and RIMMEL Scandel’eyes (something to compare it too) and off I go. Curl each eye, apply a thin coat of each mascara, to different eyes of course, re curl, apply second coats, comb my lashes and then look in the mirror and can’t believe my luck. I have never seen my eye lashes so long or curly. Not only that but they stayed curled people!!!! Now in view of fairness I’m going to go through both the products I tried and we’ll see how they compare. Please bear in mind that the main thing I am looking for in a mascara is for it to hold my curl and give me length and volume. After that I take into account smudging, flaking and any sensitivity issues. Right then on with the review. So you can compare here is what I’m starting with. Sorry about the bags and pores but my excuse is I’ve been ill! It’s OK, not offensive but could be a little more original. Typical chubby tube that I have come to expect from the likes of Maybelline and RIMMEL. Orange background, blue print, not much more to say really. 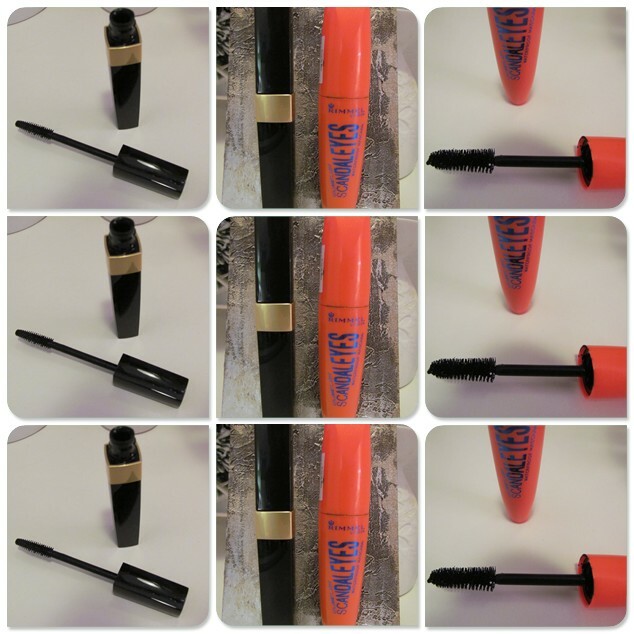 Again the typical ‘big’, claims to get every lash brush I see in a lot of the drug store mascaras. Honestly for me it’s not a great brush and it doesn’t easily get every lash. You need a steady hand and a good technique, especially when applying to your bottom lashes. Goes on nicely, not too dry and not over oily. When I say oily I’m referring to those mascaras that look wet the whole time you wear them and if you so much as touch your lashes they clump or point in the wrong direction. 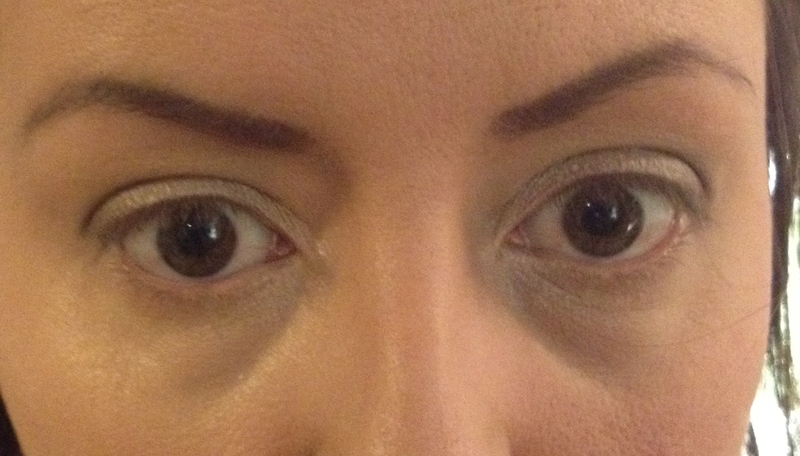 In fact clumping wasn’t a problem at all, even after I had applied a small amount and re-curled. As far as volume and thickening goes I didn’t see much of either. Initially my lashes looked nice and plumped and the curl seemed to be there but after a few seconds it all just fell out. Even after the second curl they seemed to drop back down. I have on a few occasions been able to get my lashes to stay some what curled using scandel’eyes but it takes a while and doesn’t always work. I had no sensitivity issues at all. No smudging or flaking of note and it wasn’t too difficult to get off either. A slight curl could still be seen but I didn’t really look like I had any mascara on. At this point I definitely needed another application. Not a bad attempt but personally I wouldn’t re-purchase. Maybe if your lashes are curly this would be a different scenario and you could get more out this product. I however need it to be able to maintain a curl first and foremost, if a mascara fails that test then it’s a big no for me. Sorry RIMMEL but this product fell at the first hurdle for me. Very chic but understated. Gold on black rectangular shaped packaging that looks very elegant. Intertwined C’s on the lid, what more can I say guys? It’s CHANEL of course it’s amazing! I was quite surprised by this brush, I wasn’t expecting it to be small slimline and spiky. For some reason I was expecting an oversized brush, don’t ask me why. Anyhow this brush is incredible, it gets every lash whilst separating them at the same time and there is never too much product on the brush, can you say mascara gloop? It subtly builds volume and length that lasts. The oversized brushes that look like they belong in a car wash, Scandal’eyes I’m looking at you, seem to just ram my eyelashes up only for them to fall back down moments after I have removed the brush. Another bonus of this brush is how easy it is to use on bottom lashes, my favourite brush to date! Again not too dry and not too oily. 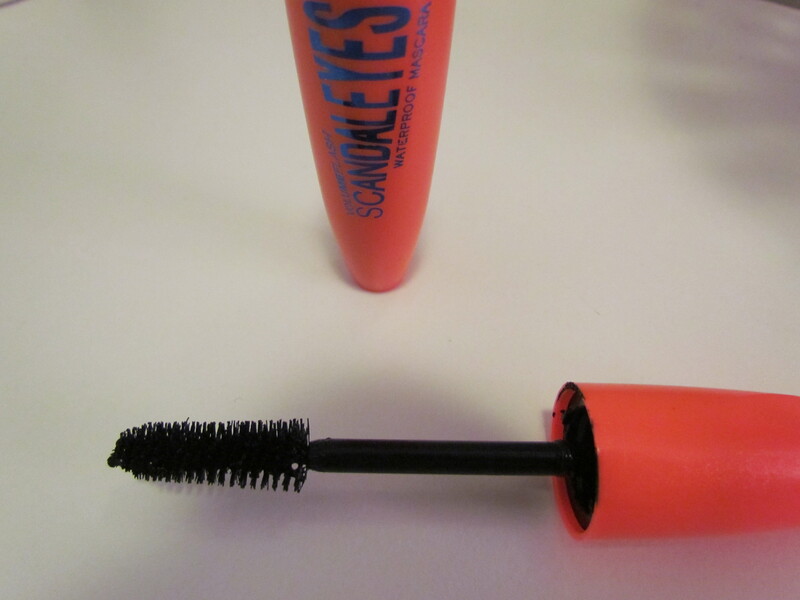 Does not clump but you do need to comb out your lashes after. I found it gave me so much length that I needed to comb out the ends of my lashes as they looked a little untidy. I was actually happy with the volume and length of my lashes after one coat, how often does that happen? I did go for two coats in the end to see it’s full potential. 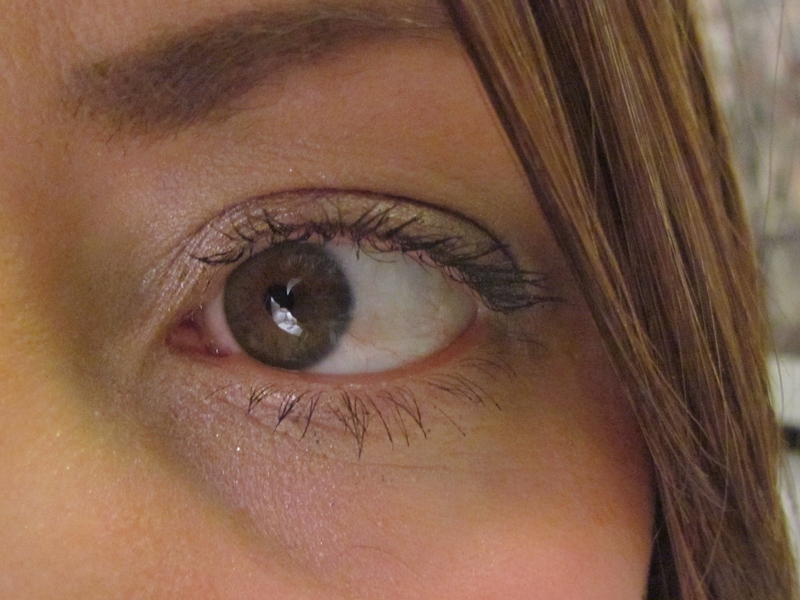 I wasn’t disappointed, it’s gives so much length and very subtle volume, I feel like I have natural false lashes on. As for my most important test – the curl, it passed with flying colours. Like I said above I curl, apply, curl, apply, comb. After one curl and one application my lashes were perfect and 5 minutes later the curl was still there. Again a second curl wasn’t necessary either but as I said I did it to see the mascaras full potential, which was pretty amazing. There was no sensitivity issues or smudging and it was easy enough to get off. Still curly and I have to be honest there was a little flaking at this point, but not huge amounts so that it’s a real problem. I had lost some of the dramatic effect but still, miles better than anything I have had before and nothing that wouldn’t be solved with another go with the Shu Uemuras. Just needs a little more combing on the ends! Perfection! I have had 3 cult classics for a while now that I can’t choose between so I just rotate them. I think however I have just found a clear winner! 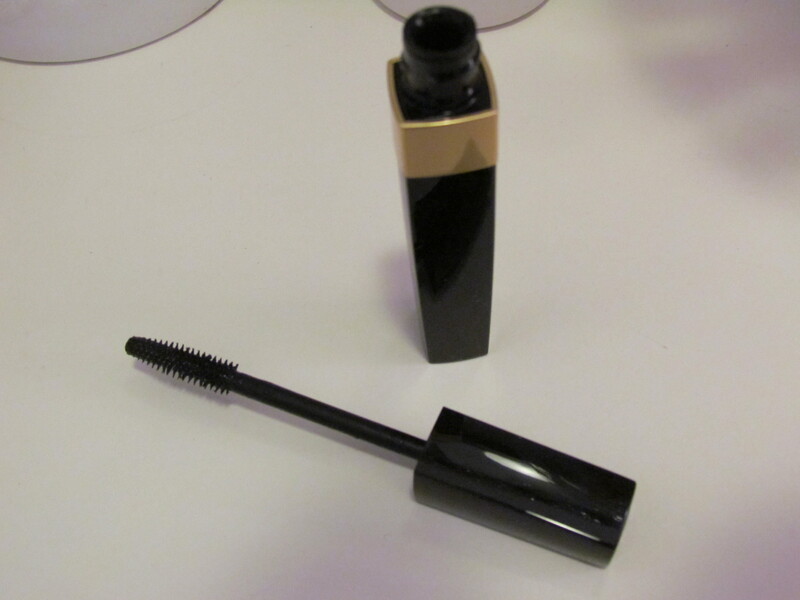 CHANEL you got everything right with this mascara, please never, ever discontinue it! 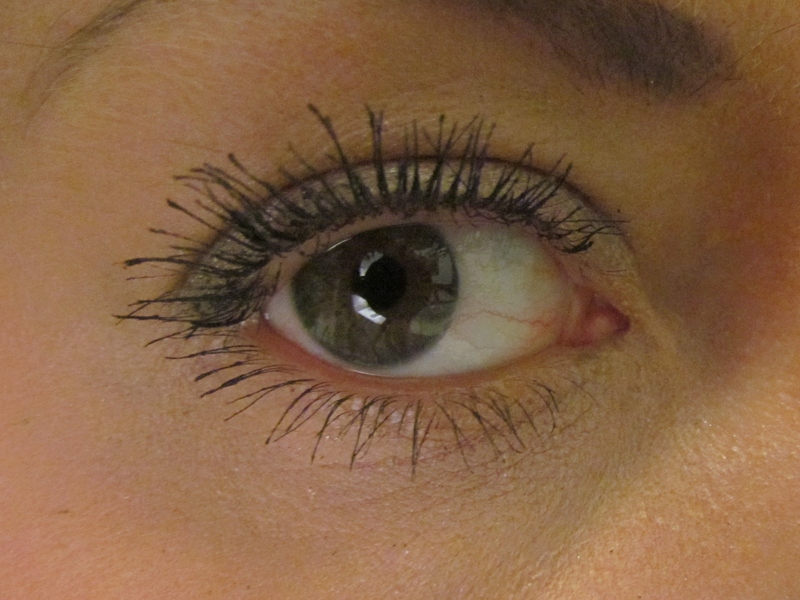 Sorry about the iphone picture guys but I just wanted to highlight the difference between the two mascaras. CHANEL is on your left and RIMMEL on your right. 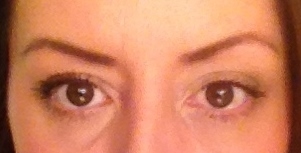 See how the RIMMEL eye looks rather sleepy? Well that’s about it really. I hope this was of some help to those of you thinking of purchasing either mascara or like myself struggling with annoyingly straight lashes. As always I love to hear your thoughts.